There are a wealth of books, magazines and websites out there offering the archery related advice and guidance. So I thought it a good idea if I put down my thoughts down on such sites I’ve found. The first of these is a book review. I’ve found this book covers the basics pretty well. It is very easy to read with simple clear explanations of the key points. I’ve taken to carrying this in my work bag to read on the train, as I have found I can pick it up and read a few pages or section easily. I like the shooting exercise shown in the later chapters, these are particularly interesting as they mirrored many of my own practice methods. As a coach I’ve found that some of my pupils have also found these techniques worth while. 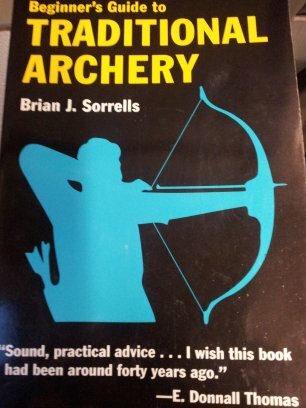 I think it works by giving an overview of archery for those interested in learning to shoot a traditional bow (recurve, flatbow etc) but compound archers may find it less useful. Overall I would say 9/10 as I really like the way it is written and find it an easy read, along with something I go back to from time to time.